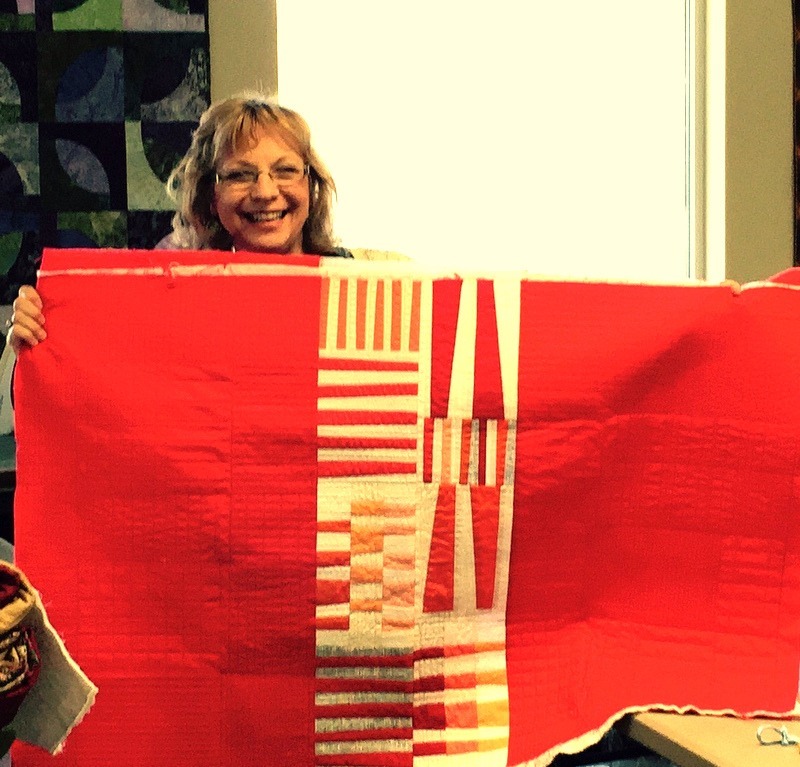 Betsy Cannan’s Modern Quilt “Totem” designed by Carolyn Friedlander. Betsy lives in Minot. 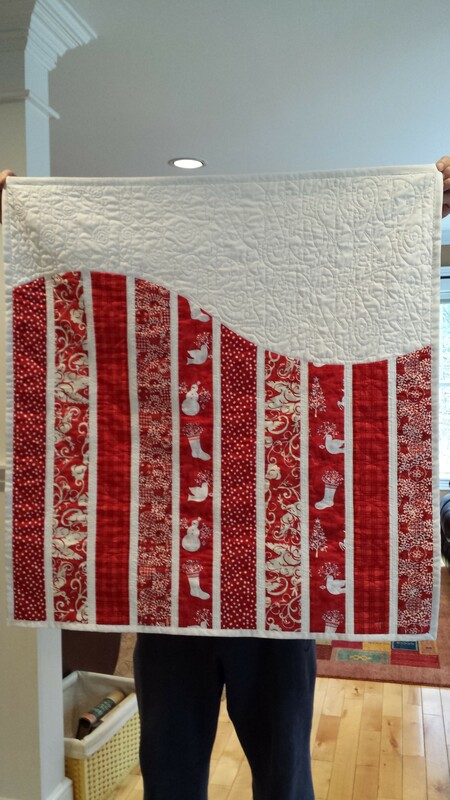 Totem is the first quilt and Chistmas Sparkle (Making Waves) was designed by Weeks Ringle of Modern Quilt Studio. The center of Totem was paper-pieced. I used June Taylor’s Perfect Piecing foundation sheets and loved them. Most is left in place for stabilization. Making Waves was taught by Ann-Marie Schetchman, Modern Quilter. My husband, Don, is holding up Christmas Sparkle for me. Weeks Ringle and her husband Bill Kerr will be teaching and presenting at the Maine Quilt Show in July 2015.